The older a country’s population, the more it’s going to need advanced robotic solutions with increased artificial intelligence capabilities. That demographic and technological assumption was the running subtext in conversations this past weekend in Tokyo. 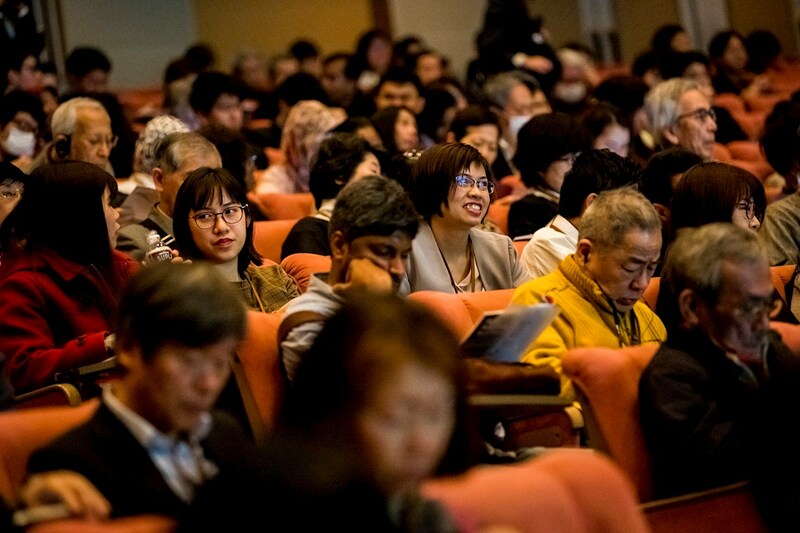 There, a conference starring five Nobel Laureates and other leading scientists contemplated the central role of technical innovation in aging societies. In today’s industrialized nations, machine automation and robotics are most prevalent in countries where a high and growing percentage of the population is 65 or older. 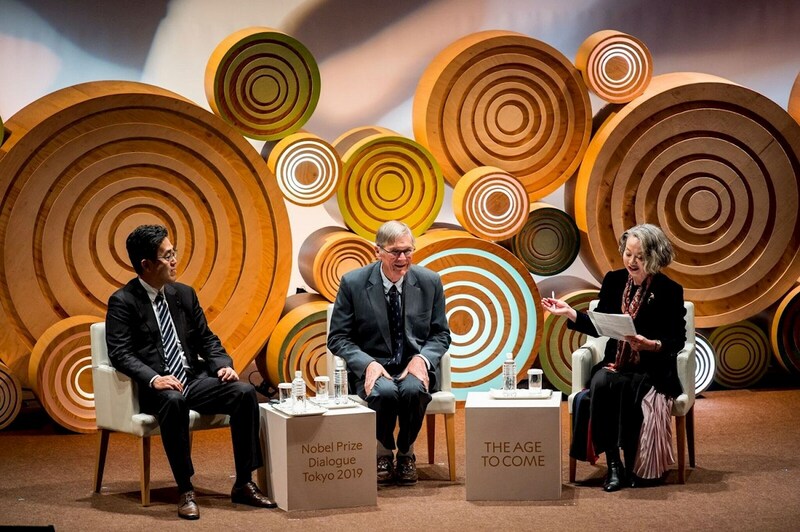 That includes Japan, which is why Tokyo was an apt setting for the Nobel Prize Dialogue 2019 titled “The Age to Come,” which took place at the Pacifico Yokohama National Conference Center. 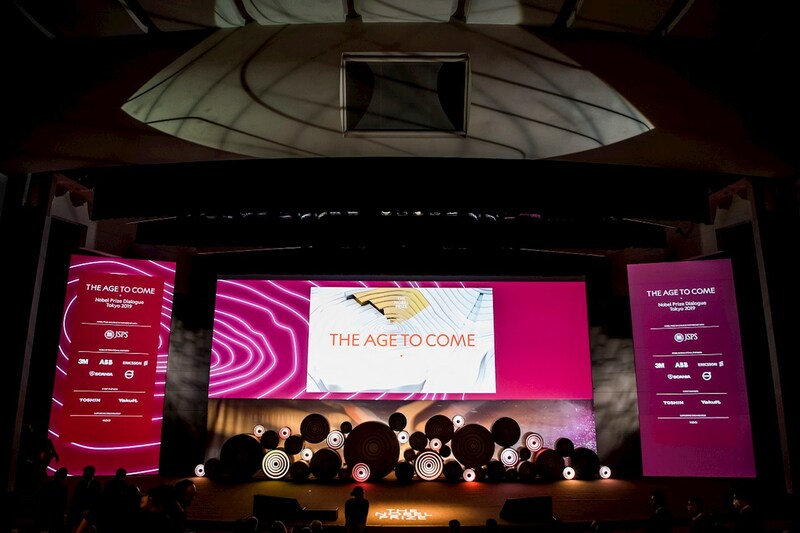 And it was a perfect thematic fit for ABB, a pioneering technology leader focused in digital industries, including industrial automation and robotics, and an international partner in the Dialogue series, produced by Nobel Media. There is a popular misconception that robots are pushing people out of jobs. But in fact, aging societies are finding that industrial automation is becoming more necessary in the workplace because there are fewer young people to engage in manufacturing and other physically taxing work. What’s more, by performing some of the most arduous tasks, automated factory machinery of the sort constantly innovated by ABB can let workers remain in jobs even later in life, if they choose to. Beyond the workplace, as people age and their abilities decline, the rising percentage of older people is outpacing the number of younger ones to care for them and help with their everyday activities. 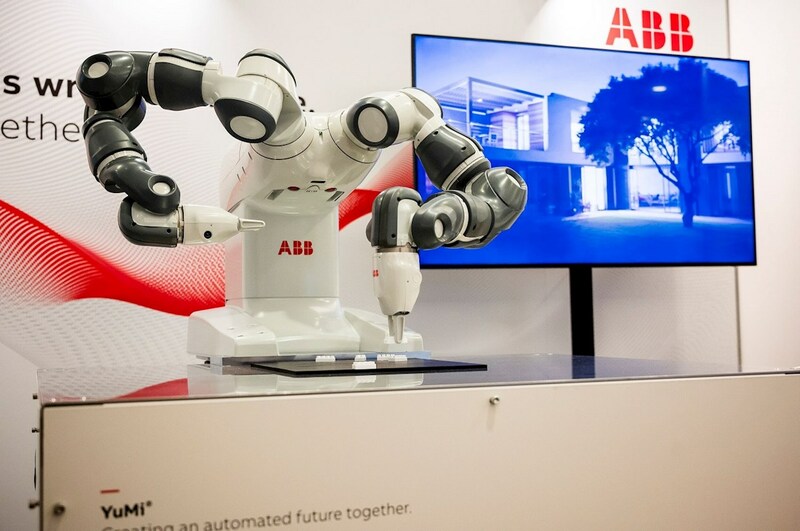 That is creating ever more need for collaborative robots that can gently and safely interact with human beings – robots like ABB’s YuMi®, the world’s first real collaborative dual-arm robot, which was on display at the event. These technologies are a testimony to ABB’s mission to solve some of the biggest global challenges, changing the way we power our societies, produce our goods and services, and how we work, live and move. The nature of how we work and live is being transformed by automation and robotics, which are augmenting human muscle and brainpower in ways that were inconceivable just a few years ago. Industrial robots, once confined to cages to perform dangerous, demanding tasks like welding automobile components, have been freed to work alongside human beings on all manner of complex tasks. YuMi® can teach itself human skills that have included becoming a coffee barista, showing card tricks like a magician or even conducting a symphony orchestra. There is a growing need for such collaborative robots. This year, according to The Economist, there will be more people in the world over 65 than under age 5 for the first time in human history. Along with Japan, three other countries where the percentage of people older than 65 is in double digits - South Korea, Germany and Singapore - are already the world's top-ranked nations in number of robots per human workers. That was a key finding of the Automation Readiness Index (ARI), a global ranking of robotics and artificial intelligence created last year by ABB in collaboration with The Economist. In Japan, where 40 percent of the population will soon be 65 or older, the need for further technical solutions will only mount as the nation grows older. So will the need for continued advances in artificial intelligence and machine learning, including the ability to control and network those capabilities through ABB Ability™, the company’s innovative offering of digital solutions and services, which realize the tremendous productivity and performance improvements that digitalization delivers. ABB is shaping its business for leadership in digital industries to support its customers in a time of unprecedented technological change and digitalization. ABB, as an international partner of Nobel Media, is helping to extend the reach of the Nobel Prize to millions of people around the world through inspirational events, digital media and special exhibitions and activities related to the legacy of Alfred Nobel and the achievements of the Nobel Laureates. 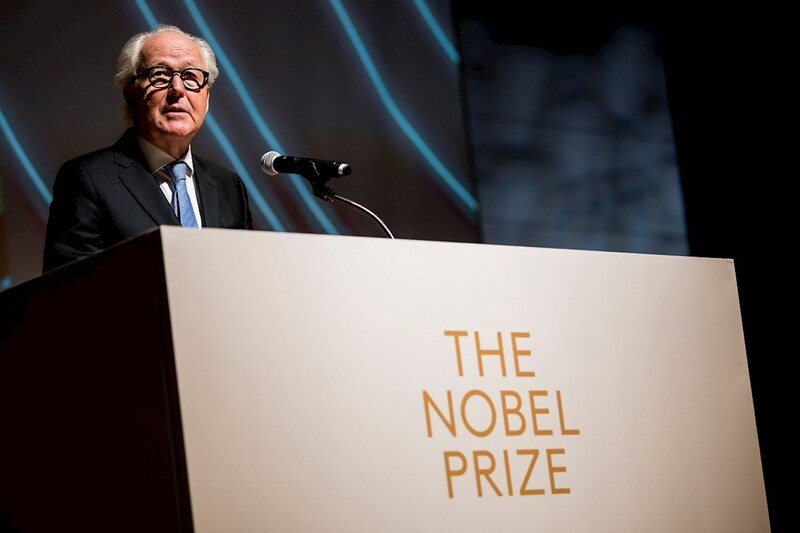 The next global Nobel Prize Dialogue will be in Madrid, Spain, May 22-24.